Stone Works today announced its new acquisition of Linnview Crossing community of homes located in Heath, Ohio. The single-family homes feature private lots with landscaping in the Heath school district. “If you enjoy living in a peaceful country setting near the convenience of the city, you’ll love Linnview Crossing,” said Eriech Horvath, CEO, Stone Works Partners. “This is one of the most affordable developments in the area.” Ground will break this spring on the first homes that will have a starting price in the 180’s. This is a nice home price for young families “Our homes are well built and are backed by a warranty you can trust,” Horvath added. Living in Heath, Ohio provides a below average cost of living with a high quality of life. According to the City of Heath’s website, “It’s the people…we hear that all the time. A small town with caring citizens, Heath is a family-friendly place. From little league to large events, volunteerism is at the heart of the community.” Heath offers many activities including parks, cultural events, and a top-notch community water park. Heath is a perfect place for a family to start their peaceful, carefree journey. Located at the intersection of Linnville Road and South Second Street in Heath, Linnville Crossing is near shopping and dining, yet allows for privacy in a relaxed setting. Stone Works Partners, a local builder/developer with condominium communities in Heath, Mount Vernon, Zanesville, and Buckeye Lake, works with a team of experienced professionals to help families realize their dreams of a new home. For more information about Stone Works communities, contact Linda Pedigo at 614-940-4530, lpedigo@stoneworksllc.com. 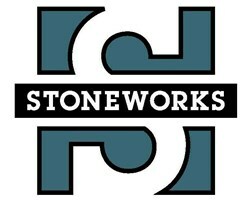 To find us on Facebook, visit facebook.com/stoneworkspartners.